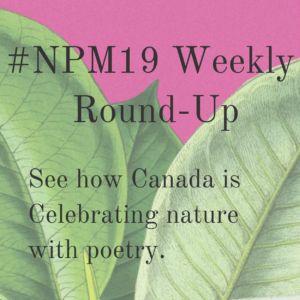 Overwhelmed by all the amazing National Poetry Month content coming out every day? Need a refresher? We’ll be rounding up our blog content, along with the awesome stuff our friends at Read Local BC, Open Book, All Lit Up, 49th Shelf, and CBC Books are releasing – plus other NPM news that catches our eye each week; all month long. This #NPM19, we’re asking what #PoetryMeans to you. Help us reach our fundraising goal of $2100 for Canadian poets – donate today! So far, with your generous support, we’ve raised $250! Read an Excerpt from the Late Joe Rosenblatt’s Final Collection, Bite Me! The following interviews are part of a nine-part series of conversations with BC poets about their new poetry collections. New interviews will be posted every Tuesday and Thursday throughout April for National Poetry Month 2019. All interviews were conducted by Rob Taylor, editor of the recent anthology What the Poets are Doing: Canadian Poets in Conversation (Nightwood Editions). Chaudiere Books – Ottawa’s most beloved literary publisher (2006-2017) is posting a poem a day this April!